Water Explorer Water Explorer - December School of the Month! December School of the Month! 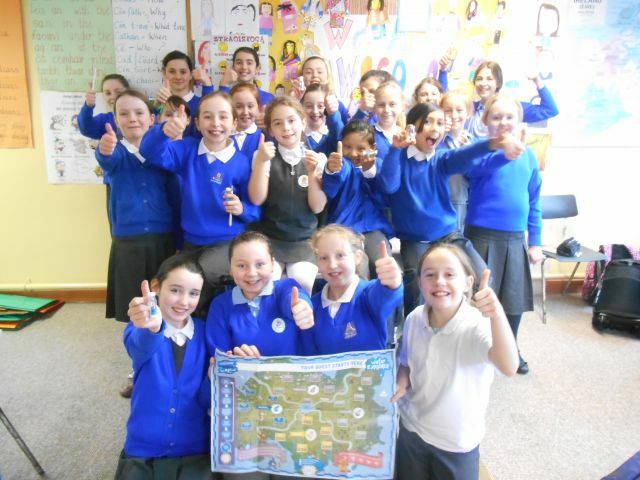 MASSIVE Congratulations to the Water Masters from Convent Primary School in Kanturk, County Cork - you have won Ireland's Water Explorer School of the Month for all your effort in December! The prize is a fantastic digital camera for your school - keep up the good work! These explorers are outstanding, having completed a fantastic 5 challenges already! They have written some lovely Newsreel articles, most recently on a Board Game challenge they made themselves and the Water Walkway challenge. We’re looking forward to seeing what you do next!! !